Varicose veins are abnormally dilated vessels, but can be more uncomfortable and harmful to your health than spider veins. In general, veins are responsible for pushing blood against gravity back to the heart and lungs. But with varicose veins, the blood flow from the legs back to the heart is diminished by 15-20%, making these veins a burden to your circulation. Varicose Veins Treatment is aimed at correcting this backward flow of blood. The actual cause of varicose veins is inefficient, faulty vein valves. These valves don’t close properly, and with vascular pressure, it allows blood to leak back with gravity and pool in the vein. Varicose Veins Treatment is based on the cause of your problem and the stage of your disease. Many factors can contribute, such as age, heredity, hormonal fluctuations, pregnancy and traumas. Heredity is a primary factor in over 80% of varicose vein cases. Other contributing factors may include pregnancy (multiple pregnancies), obesity, hormone therapy, injury and standing or sitting for long periods of time. Many teachers, nurses, flight attendants, hairstylist, etc. fall into that category.This causes the leg veins to bulge, stretch and result in many unpleasant side effects. Heredity is a primary factor in over 80% of varicose vein cases. Other contributing factors may include pregnancy (multiple pregnancies), obesity, hormone therapy, injury and standing or sitting for long periods of time. Many teachers, nurses, flight attendants, hairstylist, etc. fall into that category. Bleeding – Varicose veins can bleed after shaving, injuring, or bumping the vein, a shoe strap rubbing on them or even a tripping up the steps and banging the shin of the leg, breaking open the vein. This has even on occasion ended in death. Phlebitis – blockage or inflammation of calves and low leg veins that become red or purple and are painful. Venous Stasis Dermatitis – with hemosiderin deposits- purple or brown discolorations of skin around ankle area. Venous Ulcers- Once blood leaks out the veins into ankle and lower leg area, it leads to breakage of the skin which opens up into wounds after worsening over time. A: Varicose veins are located under upper dermis (layer of skin) they are bulged and swollen blood vessels. Varicose veins are most common on the legs but can form in other locations. A: Varicose veins can bring on a myriad of different symptoms. These symptoms include but are not limited to restless, heavy and swollen legs, bruising and itching can also occur. Q: Are varicose veins removable? A: Yes, we offer many treatment varicose veins options for problematic veins – see below for more details. Varicose veins are just a cosmetic flaw. This is simply untrue. 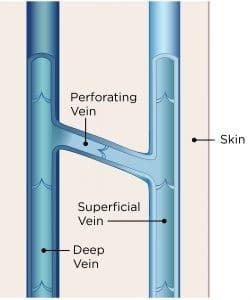 Varicose veins come from blood flow restriction that can cause circulatory problems. While nearly 25% of women are affected by varicose veins, nearly 15% of men are affected as well. Men should have more concern about bulging varicose veins as most do not worry about cosmetic concerns due to leg hair hiding most sightly areas. Varicose veins, or large veins, do not hurt. Varicose veins cause swelling of the veins and circulatory problems that can lead to pressure and discomfort. 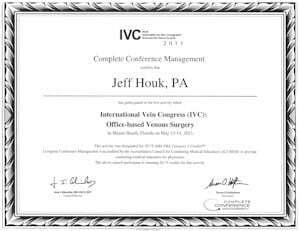 Varicose veins usually only need treated with a minimally invasive surgery. We use VNUS Radiofrequency Vein Ablation, which closes off bad veins with a minimally invasive wire procedure and Compression Therapy, helping you lose vericose veins quickly and without pain! 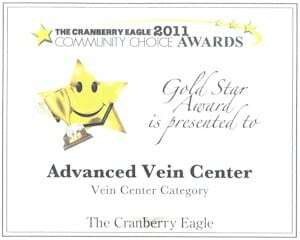 Our Board Certified Physicians, Pittsburgh area, specialize in Varicose Veins Treatment. Their goal is to help patients with Varicose Veins, Spider Veins, Sclerotherapy and Compression Therapy prevent venous ulcers. 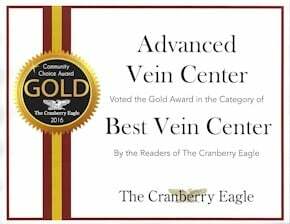 At Advanced Vein Center Beaver County we are pleased to offer our cranberry twp vein treatment patients and our Beaver Vein Clinic patients the VNUS Closure procedure, a state of the art procedure for dealing with vein disease. The Closure procedure is a minimally invasive treatment alternative for patients with a condition known as superficial venous reflux, which often results in varicose veins and other painful symptoms and is also offer at our vein care clinic, Butler County. Varicose veins are known for their distinctive blue color and bulging appearance under the skin. They afflict an estimated 10%-20% of the adult population. In the United States, that translates into 20-25 million people, the majority of whom are women. 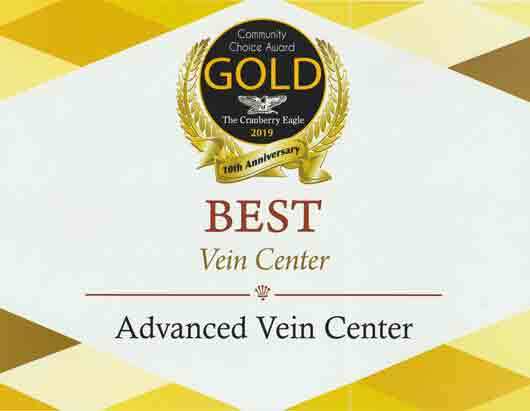 At Advanced Vein Center, we are proud to serve Pittsburgh Pennsylvania area with vein clinics located conveniently in Cranberry Twp, Butler, Moon, Chippewa, New Castle, and Hopewell. 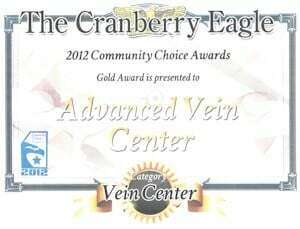 Advanced Vein Center was featured in North Hills Monthly. GET YOUR LEGS BACK UP ON THEIR FEET, TAKE THESE 1ST STEPS! Our Vein Clinic offers an array of vascular treatment options for troublesome veins that may be causing discomfort. Heavy or Tired Legs when standing or near the end of the day. Over 30% of the population can be affected by Varicose veins. Men but mostly women can be affected, more so in females as hormones begin to weaken vein walls. Hereditary and age are big factors but work situations that require a lot of standing or sitting can increase the chance in instigating a varicose vein. During physical activity, muscles surrounding the veins pump blood, but valves keep blood from pooling back down in the legs. If the valve isn’t working correctly, they increase pressure and leak, blood will pool and a vein may weaken and bulge, causing varicosities. Without proper treatment, valves in the vein worsen. Venous Stasis Dermatitis – purple or Brown discolorations of skin around ankle area. Venous Ulcers – Blood seeps out the veins onto surrounding tissue, which causes it to break open after declining over time. Phlebitis – blockage or inflammation of calves and low leg veins that become red and painful. Large veins may be easier to see, but to determine damaged valves, an ultrasound screening will need performed. by using a Doppler sound wave test will check for an abnormality in blood flow and vein structures. Ultrasound scanning gives us an internal picture of the inside of the leg. Thus revealing blood flow directional information and can determines if refluxing is occurring. Example – Compression stockings may be the best place to start and wearing them can relieve some side effects. Or more inclusive treatment plans can be prescribed: Foam Sclerotherapy (or Liquid Sclerotherapy) is an effective treatment of tiny injectable that closes the affected vein. Cosmetic Laser Therapy (non-invasive) – many of our patients find us because they are concerned about how surface veins appear. 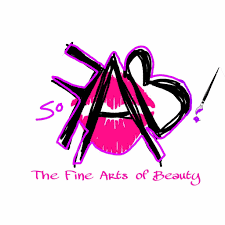 Looking into these aesthetic concerns can reveal more serious underlying medical problems. Through a non-invasive Laser Treatment for a superficial spider vein, broken capillaries or rosacea can have a boost in self-esteem. Vein Ablation through RadioFrequency, or endovenous laser therapy, uses an energy wave at high frequency to close the vein wall with heat. This quick, safe, office procedure causes minor irritation with no downtime. Actually, resuming normal activity is encourage immediately. 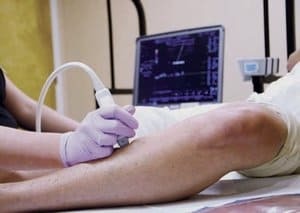 Radio-frequency ablation relieves symptoms of swelling and prevents worsening of bulging and discoloration in leg veins. Our board-certified physicians use the latest technology for treatment of varicose veins in a comfortable and safe of way as possible. At the Advanced Vein Center, most insurances are covering our specialized vein-care services Varicose veins can impact your overall health and appearance, if you want them removed contact us. Immediately after your procedure, start with plenty of clear fluids like water and fruit juices. As long as no nausea is present, begin with soups and other liquid foods, gradually progressing to normal foods as tolerated. Hydration is the most important consideration–aim for 6-8 full glasses of water daily. Note: if you’re also undergoing a bariatrics program, follow any and all dietary instructions given to you by your dietary team. They can easily be integrated into your post procedure diet. Relative rest is recommended for the first 24 hours. Gentle walking is permitted, but nothing more, especially strenuous lifting. For the next 6 weeks it’s advisable to limit lifting to objects under 10 lbs to ensure that no unnecessary pressure is put upon the treated veins. Your doctor will instruct you as to when you’re cleared to return to work. Don’t personally remove any bandages or other dressing. This will be done in your doctor’s office during your post-op follow up appointment. Don’t shower until you’re cleared to do so by your treating physician. At the office, your bandages will be removed and the incision sites assessed for proper healing. Once cleared to shower, the white strips placed directly over your incisions should still be left in place, and will eventually fall off on their own. Again, until you’re cleared to do so, avoid swimming or using a hot tub or jacuzzi. It’s entirely normal to have small amounts of blood or clear fluid seep from your wounds at the beginning. This is part of the healing process. It is not normal, however, to have heavier bleeding onto the gauze covering your incisions. It’s unlikely that this will happen, but follow up with your doctor’s office should this occur. Moderate bruising is likely to occur and is normal, the appearance of which may seem excessive but won’t affect the success of the procedure. Be alert for unusual pain or redness, or especially the appearance of a foul smelling drainage fluid. This is very rare, but may be a sign of infection and immediate follow up with your doctor’s office is essential. Analgesics (pain meds) and anti nausea drugs will be prescribed, but often aren’t needed. If narcotic painkillers are used, avoid driving while under the effects. Antibiotics may be prescribed as well, to avoid all chance of infection. In most cases, only over the counter pain tylenol will be needed. Avoid NSAID meds like aspirin, Advil, Aleve, and ibuprofen, as these thin the blood and can increase bleeding. Also it’s essential to review which prescription drugs you’re taking, as medications for diabetes or other conditions may need to be adjusted. When in doubt, don’t hesitate to contact your treating physician’s office with any questions. These are essential, even if you believe that everything is progressing as expected. Normally you’ll be scheduled for one to two days after your procedure, and at that time an additional follow up will be scheduled if needed. Once again, these appointments can be viewed as part of the procedure, and shouldn’t be skipped. If you can’t make it, be sure to call and reschedule. If any of the following occur, call for an immediate appointment: unusual redness, pus-like or foul smelling drainage, excessive drainage, excessive pain, or if more than minor swelling occur. Other things to watch out for are light headedness, dizziness, vision changes, excessive nausea or outright vomiting, chest pains, difficulty breathing or diarrhea / constipation. Again, when in doubt, call the office for an immediate appointment. Q. What are the main causes of varicose veins 7 Fields? Q. 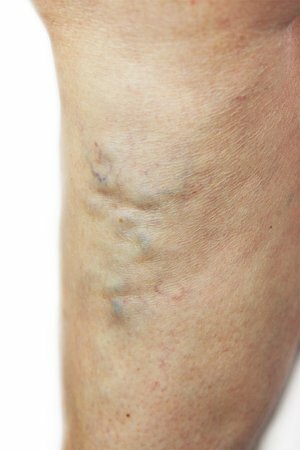 Is it dangerous to have varicose veins, Pittsburgh, PA? Although it is not “dangerous” for most people to have a varicose vein, it does progressively get worse. Complications from prolonged varicose veins can become dangerous like blood clots, ulcers, and infections. Q. How do you get rid of varicose veins,North Hills? Q. How do you fix varicose veins in Wexford, PA? Q. What are the available treatments for varicose veins treatments, Butler PA? Q. Whats the best varicose veins prevention, Beaver, PA? Q. What are the most common varicose veins symptoms, Ross Park, PA? 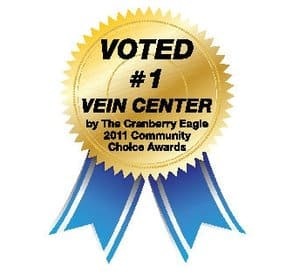 Q. Whats the worst varicose veins cause, Moon Twp, PA? Hereditary is the leading cause of varicose veins. Q. Varicose veins pictures… see our gallery. 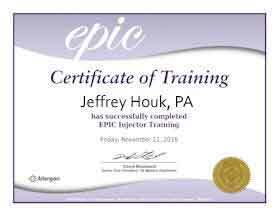 Q. Whats the best help for varicose veins pain, Zelienople,PA? The best help for varicose veins is RF ablation with Closure Fastcath! Q. What is varicose veins meaning? Varicose veins means the valves have failed and the blood leaks backward. Q. What are the main causes of varicose veins? Weakened valves and veins in your legs cause varicose veins. One-way valves in your veins should keep blood flowing up from your legs up toward your heart. When these valves fail, blood collects in your legs, and pressure builds up. Varicose veins have become large, tortuous and bulging. Q. How do you fix varicose veins? Lifestyle changes like walking, less salt in your diet, weight loss. hygiene, wcan help treat varicose veins and spider veins. Q. Why do varicose veins appear? Vein valves should act as one-way flaps that keep blood from flowing backwards as it returns to the heart up your legs. If the valves are weak, blood leaks backward into the veins and collect there. (This problem is called venous insufficiency.) As the veins enlarge from backed-up blood they can become varicose. Do varicose veins burst? Yes varicose veins do burst.